You will start your journey near a red robot. Please take five minutes explore the environment. Navigation: w, a, s, d for walking. Holding “shift” to run. “Space bar” to jump. Please go back to the red robot when you want to end your journey. Use “esc” key to show mouse cursor and close the program. copy all the data in your text file and past at the bottom of this shared google doc. Please do not remove existing data in that file. we can compile it into paths. The data will be compiled and uploaded online. Simulation based on the data of Beijing Subway station. 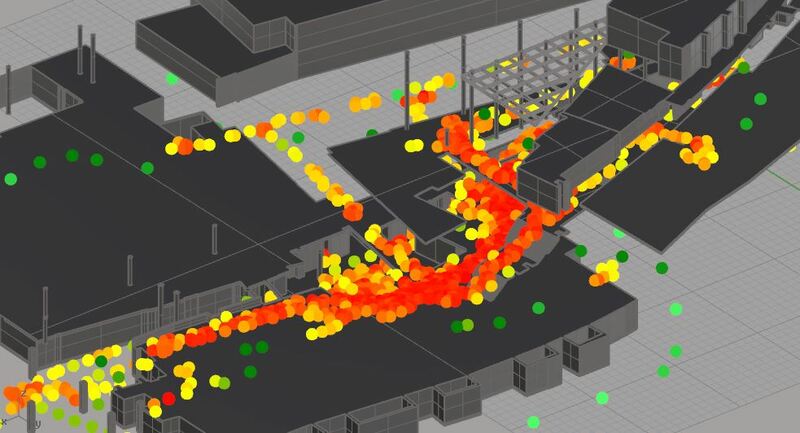 here are several train station crowd simulation based on data collected in Sihui Station, Beijing, China. 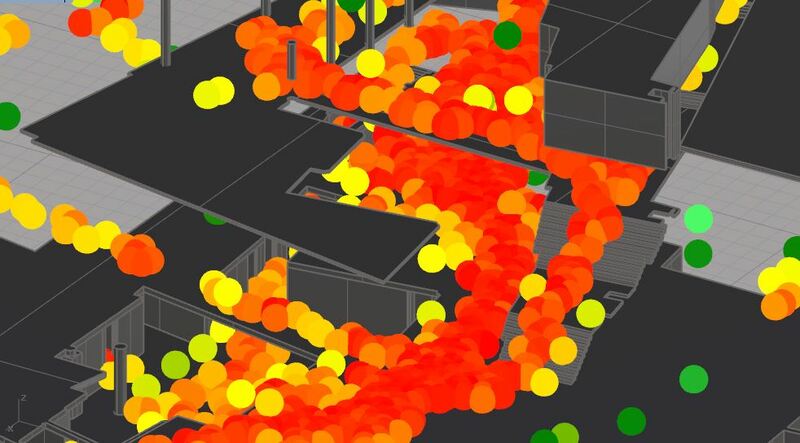 crowd simulation with more than 10,000 agents. 10x speed. 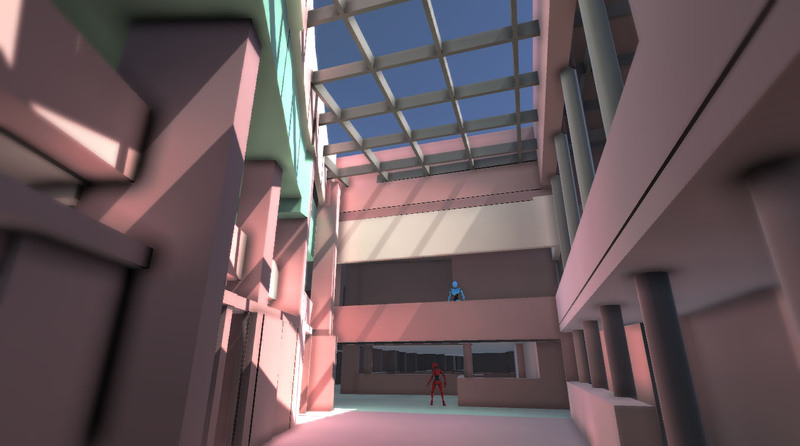 Pedestrian walk simulation. Xuzhou. China. Real Time visualization on crowd simulation. 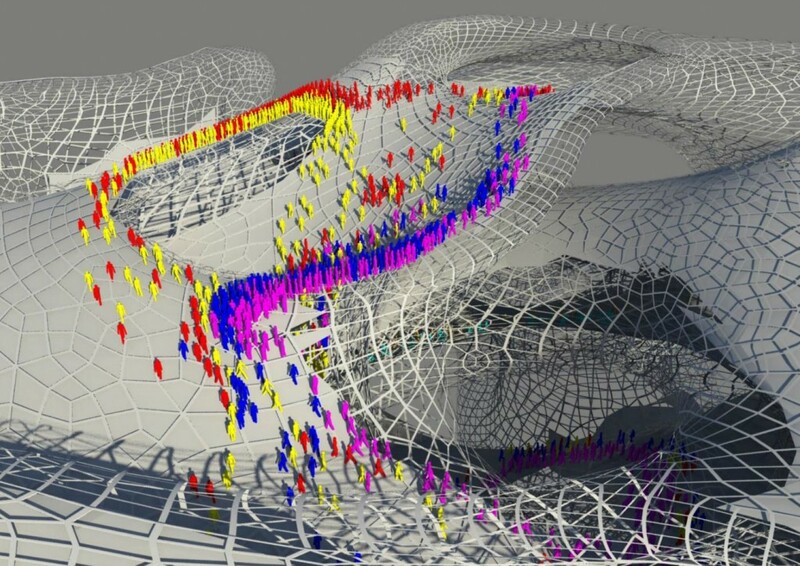 Research on crowd simulation and path-finding, egress, and congestion. credit: Erin Morrow, Ming Tang. During ACADIA Hackathon.